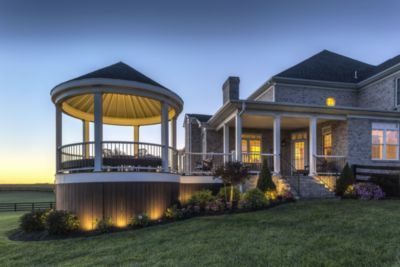 With the right light, you can take any outdoor space from invisible to inviting. That’s why Trex has expanded our lighting offering to cover the whole landscape. 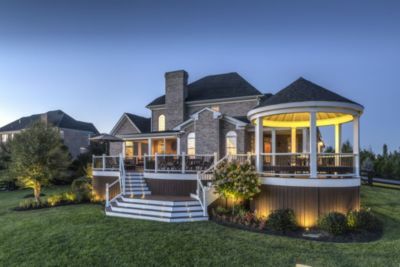 Trex Outdoor Lighting enhances curb appeal with energy-efficient illumination that makes for safer nighttime strolls and impressive deckside ambience. Best of all, the lights install in a snap and disappear into their surroundings for a truly sophisticated look. Tucked discreetly under the cap, Post Cap Lights provide a warm downward glow and easy wayfinding. 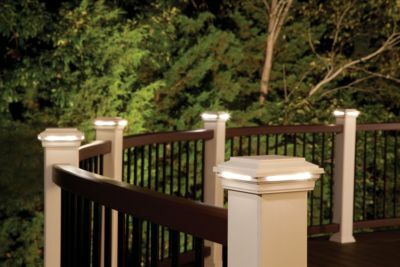 These subtle dot lights install flush on the deck boards to efficiently light the way. Well lights provide ambient illumination for bushes, foliage and small structures. A removable spike keeps the light in place and allows for easy customisation. With safety in mind, path lights brighten walkways with a warm, focused light. Choose from two classic designs to complement existing décor. These versatile lights cast a wide glow for highlighting buildings, trees and pathways. Get a custom look for any setting with the 140° swivel head. Spotlights use the latest LED technology to shine a beautifully focused light through a modest head. When not in use, they’re designed to practically disappear into their surroundings. 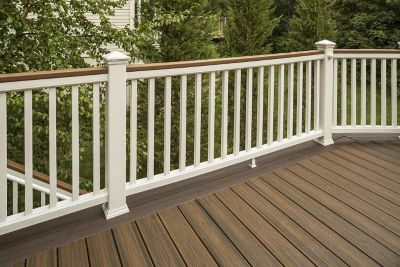 Trex® railing is the perfect host to our deck lighting: the downward-cast angles at just-the-right height keep your party moody and your sky dark. Plus, easily retrofits into existing railing.